12:34:25 arvind -> EdTechTalk: how's everyone? Bill Stites, Director of Technology for The Montclair Kimberley Academy and Blogger in Chief at edSocialMedia.com joined us to discuss MKA's first year laptop program and their use of Evernote. arvind recently attended a webinar David Allen and Tony Schwartz webinar, "Creating Energy, Space & Time - designing a life that really works" In this show we discuss the webinar and Tony Swartz's book, The Way We're Working Isn't Working: The Four Forgotten Needs That Energize Great Performance. 18:55 minutes (17.31 MB) Vinnie, Alex, and arvind discuss the NAIS Speed Innovation sessions that they are presenting at. Alex and arvind will present the top ed tech trends educators need to know about and Vinnie will present on Google Apps. This was a great planning show and we're excited to get working on our presentations. If you have any ideas for us, leave us a comment or tweet it out with the hashtag #ett21. ETT21 #139: How Will iPads be Used in Education? 29:31 minutes (13.62 MB) ETT21 #139: How Will iPads be Used in Education? Hear how Vinnie and Alex are using their iPads. Will the iPad be the new new thing of education? What are the most useful apps? 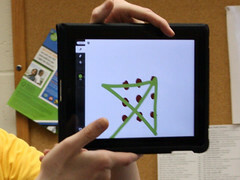 How do we see the iPad being used in a classroom?